Choosing the Person to Handle Your Estate: What Does the Personal Representative Do and How Do I Choose the Right One? When you meet with an attorney to draft your estate planning documents, the attorney will ask you for the names of people to serve in various roles. Among these is the role of “Personal Representative,” who is called an “Executor” if a male and an “Executrix” if a female. The Personal Representative gathers the decedent’s assets, pays valid debts, pays any Estate or Inheritancetaxes that may be due and distributes the remaining assets to the heirs as directed by the Will. While many people believe that deciding who gets what items and who should inherit your money is all that needs to be decided in preparing your Last Will and Testament, the choice of your Personal Representative is also quite important, since until the Personal Representative properly completes the job, your heirs won’t get their money and problems may arise with the taxing authorities and other entities. So choose your personal representative wisely! 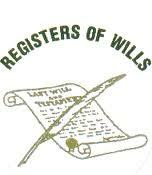 The Personal Representative’s job starts right after death, when he or she goes to the Register of Wills office in the county of your death to “probate” your Will. Tell your Personal Representative knows where your original will is located so there is no delay in getting it filed with the Register of Wills. Although the whole concept of probating a Will has gotten a lot of bad press in recent years, the process, at least in Pennsylvania, is relatively painless and not very expensive. The Personal Representative usually has to appear in person at the Register of Wills office to formally start the process. At the Register of Wills, the Personal Representative will take an oath of office and then be given (or mailed within a few days) documents called “Shorts,” which is an abbreviation for “Short Certificate.” These are just pieces of paper to be given to each financial institution or holder of assets in order to get the assets from that place into an “Estate Account.” The Personal Representative will use the Estate Account to first pay off the decedent’s debts, and, after the debts are paid, distribute the balance to the heirs in accordance with the Will. Who should I choose to be my Personal Representative? 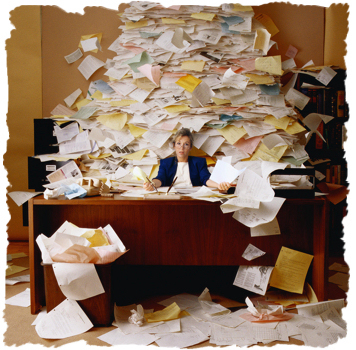 When deciding who should be your Personal Representative, choose someone who is extremely organized. Our firm has represented clients with many bank and brokerage accounts (in some cases 20 or more), who own one or more houses with mortgage loans, have a number of credit cards and have named several people to get various percentages of their estate. The Personal Representative has to write to each institution requesting the date of death value of the account, and then keep track of the documents received from the various institutions. The Personal Representative also has to contact each creditor, verify the debts are owed, and ultimately deal with the beneficiaries. The amount of work involved can be tedious, burdensome and frankly, overwhelming. It is not unusual for us to receive a call from a Personal Representative who has tried to do the job without professional help and then coming in, dragging along trash bags filled with paperwork for us to sort through, because the task is beyond that person’s abilities. Being a Personal Representative has often been described as having a part-time job for about a year. While the Personal Representative is usually entitled to a “commission” for handling your estate (often 5% in Pennsylvania) , the money is not paid until the work is all done. Choose someone who has the time to do the work and who lives within 50-100 miles of you (to decrease traveling time). As I often tell my clients, the Personal Representative does not have to be Albert Einstein – but he or she must recognize the many fine details of handling an estate. Recently one of our attorneys who is serving as the Personal Representative for a client who had no close family or friends found what appeared to be a two year old un-cashed $7,000 check. Because she knew the right questions to ask, she contacted the issuer of the check, verified that it had never been cashed, furnished copies of the death and short certificates, and got a new check issued for $7,000 payable to the estate. Under certain circumstances, the Personal Representative has to post a bond before being appointed by the Register of Wills. See 20 Pa.C.S.A. §§ 3171-75. Of course, even if a bond is posted the money will be refunded (less a percentage to the issuer of the bond) when probate is over – but that may be a year from beginning to end. Each state in the United States has different rules governing pre-death and post-death issues. If you move, consult with an attorney in your new state to ensure that your current documents are effective. Also, since the laws change often as do your family circumstances, remember to update your documents regularly. Over the next few months, we will post additional articles or various pre-death and post death matters that we hope you will find helpful and informative. But feel free to contact us if we can answer any questions in the meantime.